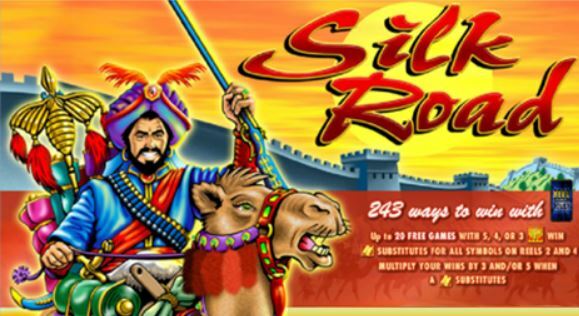 Silk Road slot is by developer Aristocrat has 243-ways to win with the typical 5-reel and 3-row format. 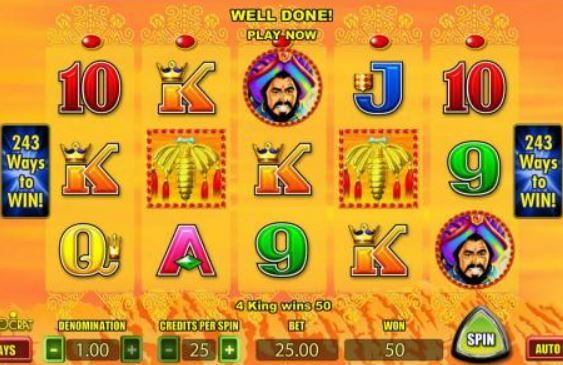 It is one of the oldest online slots with a Wild on reels 2 and 4 which in the 10 free games become 3x and 5x multiplying Wilds respectively and a very silky 15x if both forming a win! Three or more silk moth scatters trigger these games and they can retrigger. The RTP is a 94.74% and the variance is medium. 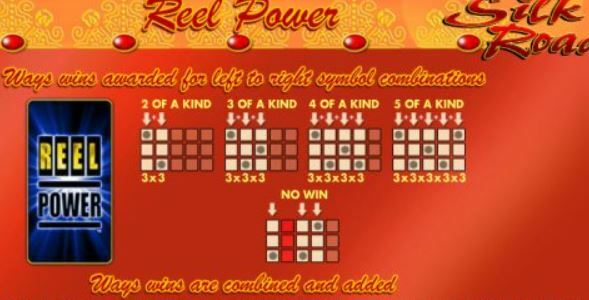 Silk Road slot is similar to a different Aristocrat game, Pompeii.